Aerospace Supply is a distributor for the Parker Engineered Materials Group to the Aerospace and Defence sectors. The company's particular focus is in sealing solutions and consumable aviation parts including a customised kitting service. As the 'Parker Certified Distributor' Aerospace Supply accesses Parker Design, Development and Manufacturing units worldwide providing comprehensive technical and business solutions for our customers. Our continuous proven record with existing customers is a testament to our commitment to a total service model. Aerospace Supply, through tailored Suppy Chain Management Programmes, delivers a flexible and responsive service managing usage, lead-time, forecast and inventory based on customer requirements. Aerospace Supply employs a Certified Quality System founded on best industry practice. Our customers are thus assured of a dedicated supply chain partner that will understand their current requirements and respond quickly to their ever-changing needs with the highest quality, greatest flexibility and providing significant inventory reduction. Air and Ground Aviation Ltd supplies and distributes aircraft material and aviation support equipment across both civil and military sectors. We provide dedicated support to a number of companies, including Vector Aerospace, BAE Systems and Leonardo MW Ltd, for both fixed and rotary wing platforms within the United Kingdom and worldwide. Air and Ground Aviation Ltd hold accreditations to AS9120 certification, along with numerous approvals from customers and suppliers. With specific approved trading capabilities including export licences, Air and Ground Aviation Ltd provides the full supply of your material from the enquiry stage through to delivery. Anglo has an unrivaled reputation for composite engineering excellence and the provision of innovative solutions across a wide spectrum of the worlds major markets: these include Defence, automotive, machine tools, aerospace and healthcare. Anglo Krempel has a particular capability in the manufacture of composite radomes and antenna shrouds/covers. An electronic component distributor supporting UK and International customers alike, through our locations in the UK, USA, Mexico, China, Israel, India and Australia. Astute provides the best in component supply, anti-counterfeit mitigation, logistical solutions and new-design support, primarily for the high reliability market sector. We are proud to deliver what British companies are best known for, Quality and Service. Our activities are shaped by our customers, whether that is shielding you from the threat of counterfeit components, working with your design teams to introduce the latest in cutting edge technology or through life support programs for legacy products, Astute have been collaborating with Defence primes to become the partner of choice. An AS9120, ISO9001 and SC21 approved supplier. The E-T-A group of companies, which was founded in 1948, manufacturers a wide range of circuit breakers for component, equipment and systems protection. E-T-A high performance circuit breakers are specially designed for use in hostile environments and technically challenging applications where size and weight considerations should not be allowed to compromise optimum performance. These types encompass a range of current ratings from 0.1amp to 500 amps and are widely specified to protect the electrical systems of aircraft (fixed wing and helicopters, military and civil), ground equipment, hovercraft, fighting and support vehicles, pleasure and work boats, defence systems and many industrial installations with rigid performance and environmental requirements. Major approvals/listings include CAA (A1 Primary Company and Component Approval), fighting vehicle numbers, DefStan 59-59, UL 1500 (explosion tested), Panavia. ISO9000. Experts in blast mitigations and energetics technology. Suppliers of blast mitigation litter bins, IED Isolation Units, Detonator Containment Units. We also manufacture a range of energetic solutions, shaped charges and pyrotechnic payloads. The Ex-El Group has established an international reputation as a provider of professional sourcing services, other purchasing related value-added activities and bespoke manufacturing solutions. Our primary objective is to add value by developing strategic partnerships and to become an important link within our clients supply chain. The Ex-El Group aims to provide cost competitive service based solutions that enable clients to focus more effectively upon their own primary goals, reduce their supplier base and achieve direct and indirect cost savings. The Ex-El Group originally concentrated its resources upon the Military/Aerospace industries around the world, more specifically civil and military airframe manufacturers defense OEMs, the military aftermarket, commercial airlines, MRO facilities and completion centers. Today the company services clients across many high reliability, harsh environment buisness sectors. The global Swiss company HUBER+SUHNER develops and manufactures components and system solutions for electrical and optical transportation of data and energy. The company serves customers in the Communication, Transportation and Industrial markets with cables, connectors, cable systems, antennas and other passive components relying on its expertise in radio frequency, fiber optics and low frequency technologies. The products stand out due to their exceptional quality, reliability and durability – even under harsh environmental conditions. HUBER+SUHNER maintains close relationships with its customers in more than 60 countries as the result of its global production network, own group companies and sales offices, as well as numerous distributors. The company captures promising markets with its ground-breaking developments. Nightsearcher Ltd are one of the leading manufacturers and suppliers of a range of LEDportablefloodlights (mains voltage also available), searchlights and flashlights. Established in 1989, the company is qualified to ISO9001:2008.. Many of our products are Nato stock-coded. We are major suppliers to the Police, Fire and other Emergency Services, Military, Railway Infrastructure Industries, Utilities, Industrial, Councils, Sports Clubs and more. Our products are also exported worldwide. Currently we make some of the most powerful portable LED floodlights in the world, completely replacing inefficient halogen based lights operating off generators, thus eliminating heat, weight, emissions, fuel, trailing cables etc. We have also introduced LED upgrades across our range to extend the running times and enhance performance. As a customer and solutions-led company, it is the policy of Nightsearcher to offer environmentally innovative products and to minimize our impact on the environment through environmentally sound business practices. Nightsearcher’s continued success and gradual expansion is aided by the dynamic nature of health and safety requirements, coupled with the demands from both new and existing market sectors. Organiser of Transport Security Expo, a global exhibition and conference where security manufacturers, systems integrators & distributors connect in a uniquely focused environment with security buyers & policy makers for aviation, maritime, public and commercial transportation & major events security. Peli-Hardigg Advanced Case Solutions with more than 500 sizes, Peli-Hardigg Technical Packaging division designs and manufactures reusable shipping and storage cases and containers for Weapons, Missiles, Aero Engines and spares meeting the most extreme operating conditions. An experienced team of over 30 engineers and technicians meet customer specifications and anticipate deployment conditions. Peli has tapped into over 30 years of customisation experience and a business model that executes on the promise whatever the customer wants. Rack Mount Cases, lightweight, compact cases offer protection for hard drives and servers and boast significantly better shock performance than the competition. Specialty products are well engineered portable workspace solutions. These include portable desks and storage chests to keep all your supplies safe and organised. Peli Products the Europe, Middle East and Africa Headquarters of Pelican Products, Inc., the global leader in design and manufacture of both high-performance case solutions and advanced portable lighting systems. Peli cases are watertight, crushproof and dustproof, a cost effective packaging and storage system. Peli cases are o-ring sealed against sand, dust and moisture ingress. They are rugged, dependable and used across the world to safely transport all types of military equipment, having Stanag/Defstan certification and NATO Stock codes. Peli cases are available in 80+ sizes and colour options include Black, Olive Drab Green and Desert Tan. Peli UK offer protective cases with engineered foam solutions, enabling secure equipment storage and durable protection against impact, vibration and shock. Peli area lighting systems provide portable, instant light where there is no mains power. These rugged self contained systems are man-portable and offer powerful, rechargeable, LED lighting for remote locations. Eliminating the need for fuel or cumbersome generators, these rechargeable systems are silent running. The lights can be deployed rapidly and are ideal for urgent operational requirements. Supplier to police, customs, prison and military forces worldwide. Offering Search , IEDD and bomb disposal products including x-ray systems, mine/metal and cable detectors, search tools and lighting systems. Complimentary equipment can be packaged to meet the full operational needs to the client. After-sales services include post-warranty maintenance and staff training , including off-the-shelf specialist courses from Postal Room Security to High-risk Search.New equipment for 2008/09 includes: Falcon, Hydrogenous Man October for finding explosives/drugs and other contraband in sealed cavities. Latest in the long line of gamma backscatter equipments in service with the MOD. Now with remote graphic display to laptop. Portable x-ray with with Dual Energy. Now for the first time dual energy images can be attained using the Golden x-ray generators combined with the Fox-Rayzor real time digital system. Stäubli is an innovative mechatronics solutions provider with three dedicated activities: Connectors, Robotics and Textile. With a workforce of over 4500, Stäubli has a presence in 29 countries and agents in 50 countries around the world. Quick release couplings for all types of energies: hydraulics, compressed air, fuels... Electrical connectors for power, signal and data. Multi-coupling systems and Robotic tool changers as well as quick mold change solutions. For decades Stäubli has supplied the aerospace industry with couplings and developed specialized connection solutions for the military. We are relied upon to deliver the exceptional safety, lightness and cleanliness these industries demand for a range of applications such as air conditioning, breathing air, compressed air, fuel, hydraulics and thermal management. A recognized expert in fluids, gases, pneumatics, hydraulics and electrical power quick connection couplings and connectors. On Platform, In Production, In Test, In MRO. Robotic solutions for industrial automation, including SCARA and 6-axis robots, controllers, software as well as safe man and machine interfaces featuring high productivity, speed and precision. Textile machinery including dobbies, cam motions, Jacquard machines, harnesses, weaving preparation, carpet weaving systems and automation solutions for textile machinery. 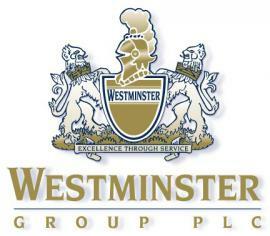 The Westminster Group is a specialist security group operating worldwide via an extensive international network of agents and offices in over 50 countries. The Group’s principle activity is the design, supply and ongoing support of advanced technology security solutions and the provision of long term managed services, consultancy and training services to governments and government agencies, non-governmental organisations and blue chip commercial organisations worldwide. The Mission of Westminster Group plc is to be recognised as a worldwide centre of excellence for the provision of Fire, Safety, Security and Defence products and services. Copyright © ADS Group. All Rights Reserved. This is a secure area and requires you to be .